Styled wedding shoots are a fabulous way to gather inspiration for planning your wedding day! While real weddings may provide ideas from real brides, they are constrained but the "B" word... budget. With a styled wedding shoot, creativity is free! Wedding vendors collaborate to create a themed wedding to showcase their talents. You'll find all the talented wedding vendors (and how to contact them ) from this shoot at the bottom of this post. 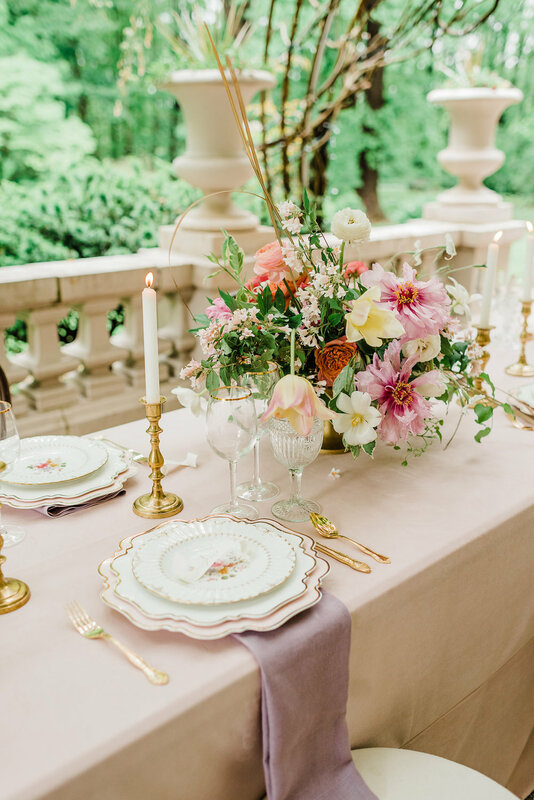 We were honored to be apart of this romantic Jane Austen inspired wedding shoot designed by Caitlin Krebs Events and very thankful the photographer, Megan, shared these highlights with us so we can share with you! Be sure to follow Megan on Instagram @meganharrisphoto for more of her beautiful work!